Tighter Tolerances equal better finishes. Design it and we will mill it for you. We offer both precision and micro milling capabilities with tight tolerances of 2-3µm, even for micromachining. 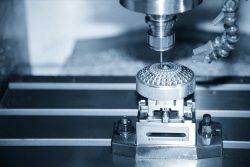 Working with our vast network of suppliers, we have access to any tool needed to meet your milling, micro milling or micro manufacturing needs. Constant development of new and improved machining techniques allows us to continuously offer our customers tighter tolerances and better finishes. If you’re interested in learning more about our micro milling services, give us a call at 630.736.0531 or email us at [email protected] to learn more. Companies, laboratories, and universities across the country utilize our milling, micro milling & precision milling capabilities. 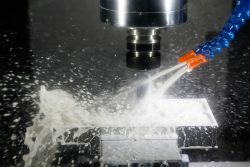 With such a vast array of machining options to supplement our milling capabilities, we’ve produced components in every industry from interconnect to aerospace and medical to defense. What sets us apart from the competition is our ability to take on research and development projects of only 1-2 pieces as well as high quantity production work.